Where Do The Major Australian Political Parties Stand On Privacy And Encryption This Election? Home » Election2016 » Where Do The Major Australian Political Parties Stand On Privacy And Encryption This Election? 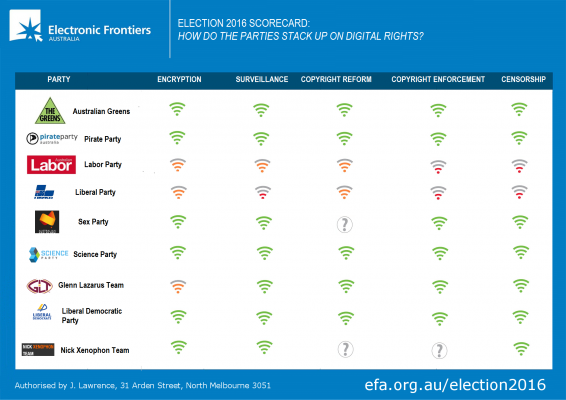 Lobby group Electronic Frontiers Australia (EFA) has called on all political parties to support encryption and privacy technologies, as it was revealed where a selection of the major parties stand on surveillance, encryption, copyright issues and censorship. Read more on Gizmodo (AU).